For the next two weeks we will feature a different woman from #theFives as she shares her heart with us. In an attempt to break down walls and promote unity among women, we will uncover the real lives of those we haphazardly label and judge. Wanna grow in your own journey of loving without walls? Join #theFives HERE. Prayer, she said, is the reason her marriage has survived her husband’s incarceration and the challenges since that time. There was the fear of telling her youngest child — that the truth would prompt rejection by playmates’ parents. There were costs — the financial cost of hygiene supplies, healthcare and phone calls and the emotional devastation when parole was denied. But God persisted, calling Bianca to lift up her head and pray for her marriage, and she now co-leads other participants of #theFives in praying for their own breakthroughs. Her husband also had been in prayer during his incarceration, and since his release the two have sought God’s will together, finding hope in Christ despite ongoing struggles. “He is a felon, so it makes it hard when it comes to employment and even more difficult to find a place to live,” Bianca said, adding that some of the biggest blessings along the way have come in the form of grace and friendships. Throughout it all, Bianca said, building true friendships with women who have walked many different journeys in life has brought wisdom and hope. Have you found yourself in a similar situation? Share your story below. We hope you can #findyourtribe here with us. 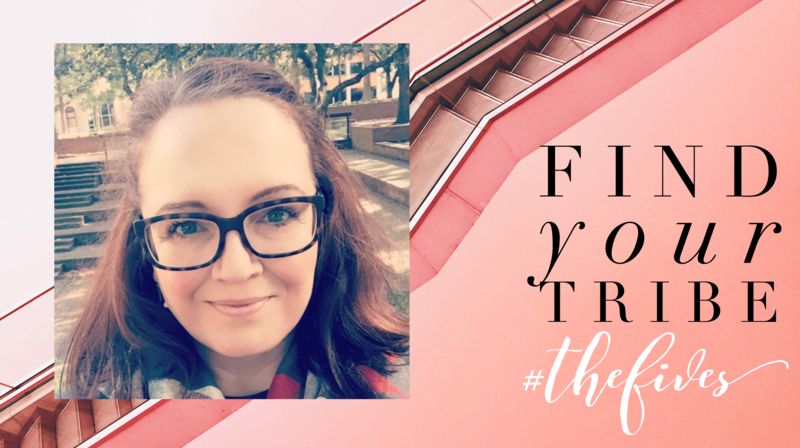 *All stories featured in the#FindYourTribe series were collected and written by Sarah Gooding. We love her so. Strength and peace, encouragement and edification to you sweet sister. The father of my children spent time in jail. It was a felony charge initially, that was lessened in a plea bargain. My son was 3, and we were in the grocery store. Another mother and son were in the same aisle as us, and that little boy was bragging about something good regarding his father. My son listened, and then followed the other boy’s lead, chanting, “My daddy’s in jail, my Daddy’s in jail.”, at the top of his lungs. I am so grateful to the Lord, our perfect and holy Father in Heaven, for sustaining us in the refiners fire and purifying our hearts in the process. Whatever your circumstance today, I pray the Lord shower you under a waterfall of His supernatural peace. I pray for your husband that he grow into the fullest possible potential of the man God created him to be. I pray this for you, your husband, and your marriage, in the beautiful name of Jesus. Amen. Thank you for sharing your story! God is making a way for you to come out the other side of this better than you went in! I am praying for your relationship with God to become stronger than ever so you can face each day with strength and dignity. We love you! Thank you for sharing, Rachel! Fear of being judged can be so overpowering. There were days when I felt like I just couldn’t go on, but God always gave me what I needed to get through each day. I will be praying for you and your other half. God is always working, even if we don’t see it. ? Rachel, I know it’s been a while since you posted this comment, but I believe the Spirit took me back to this incarceration conversion this morning. I sense that I am to love and encourage with the words that Christ is enough regardless of circumstances, that we keep our eyes on Him and trust in Him even when our story is unfolding differently that how we think it should. my current story doesn’t involve incarceration but it certainly is an unfolding how I think it should , and I find myself asking God how it could be his plan for my 16-year-old daughter to be struggling with health issues or for my 21-year-old son to be so lost and for marijuana and alcohol to be part of his every day life… My story isn’t anywhere close to how I would have written it. And then the Lord shows up and He asked me whether or not I was there when he set the stars in place, and He assures me that He knows what He is doing, and that there couldn’t possibly be more perfect story for me to be living. Sweet daughter if the King, somehow I stumbled back into this believe boldly site this morning, and I am feeling absolutely certain that it was so the Lord could shower you anew with his love, so that your faith and trust could be bolstered, oh how He lives you. OK. I talk typed and apologize for not editing. I think the message still comes across, but have to correct…. OH HOW HE LOVES YOU! May the supernatural peace and joy of the Lord wash over you today and every day! Karen THANK YOU!! for the reminder that God Loves me no matter what and you have no idea what it means to see this reply this morning no matter how long ago it was that I posted on it, that’s just confirmation how God moves and truly cares for us bcus He sent you back here?? I just want to say I will keep you and your children in prayer?? stay strong and give all to God, He loves you my dear sister ? So powerful, Karen. Thank you for your encouragement! I would absolutely agree this was a God moment. Thank you, Karen for the sweet words! I am so in awe of Gods grace and the power of prayer. What beautiful renditions of the sweet sweet love our Father pours into our lives. Draw close to Him. Psa 91:4 He shall cover thee with his feathers, and under his wings shalt thou trust: his truth shall be thy shield and buckler. Praise God. Love the strength and boldness. I am also celebrating a victory in my marriage. My husband enrolled himself in Adult and Teen Challenge almost two years ago. I am so blessed to have strong friends around me to encourage me, because now our marriage is better than I ever knew possible and we are continually seeking God for what is next. I am so excited that my Hubby will be doing the #fives this go around!!! Thank you for the story i just read ? I feel so heart broken ? my husband is in detention and still don’t know for how long, i feel so empty but yet i need the strength to help us both keep on going. Thank you all for sharing. My husband was incarcenated three weeks ago. So there is still a very long, difficult road ahead for both of us. The worst is that I feel like half a person. I guess its because my other half is not with me. I cant eat, sleep, or live without him. It all feel so surreal. As if Im outside my body, looking down onto myself. Then there is the challence of putting on my happy face every morning, and going to work, pretending that nothing in the world is wrong. Acting, pretending… While inside, I feel like I’m sobbing, screaming, I want to run and never stop. Its all just getting too much at times. Especially when I see myself going backwards everyday. Losing everything we’ve worked for. Selling our belongings one by one for nothing. Because financially this is killing me. I have almost nothing left anymore. My salary rarely cover the rent. End of next month Im moving from our house. I Still dont know where I’m going to stay. I guess I will have to settle for a room or something very basic. I feel almost just as empty as my house currently is. I’m just not coping. I find myself scrolling looking for an answer from God for the past 4 months as my husband is incarcerated awaiting pretrial. I have had no choice than to throw myself at Gods feet because honestly HE is the only answer but as a woman who lives in the flesh im shaken and scared. Married for almost 7 years this march, my world collapsed under me without warning.. God had spoken to me about a storm that was approaching but the magnitude of it has left me in shock. Reading your story and testimonies has me in tears knowing im being disobedient to Gods word as he has been talking to me through various ways about trusting HIM. My husband as well continues to seek God in prison. I am asking for prayers as I have 4 children as well. I am glad i came across a christian support group and can relate to almost every feeling and judgement read today. God bless everyone going through this battle.